So I have pretty much nothing to write about now, as I’m in a lull between (mostly) the end of interviews and having to make my rank list. I spend my free time, which usually ranges between 20 and 23 hours a day, contemplating my existence in the various cities where I’ve interviewed and pretending the horrifyingly high-stakes reality of creating a match list isn’t around the corner. Okay so here is my new idea. I’m occasionally going to try and be at least amusing about something related to toxicology, because I like it, it’s interesting, and some of you have children and might want to know what happens if your two year old eats a box of mothballs (nothing much unless they are from the 1950’s). 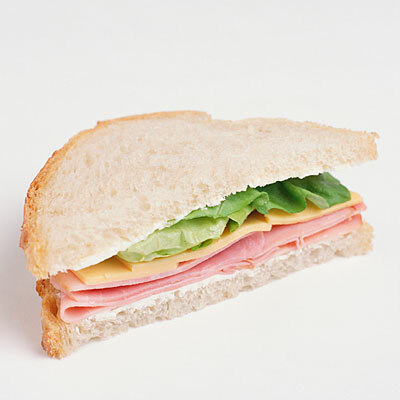 Here is a ham sandwich. To start, then, I want to tell you about a baaaad pesticide. It’s called Carbon Tablet, and you can’t even get it in the United States because of how badass it is. It is so awful for general human interaction that it’s actually hard to Google (you’ll get redirected to links about activated charcoal, which is ironically used to treat some poisonings). b) a “typical” pesticide like Roundup. Carbon is not either of these things, and the reason I highlight this is if you are a doctor and try to treat a carbon patient the way you would someone who ate rat poison or drank Roundup, you will fail. Actually, you’ll fail anyway, but it’s nice for peace of mind. I encountered phosphine toxicity in Guyana, where I spent a month working in the emergency department. Guyana has the highest suicide rate in the world, full stop. Most of this is because they are a very poor country with nonexistent mental health services, but a big part is easy access to terrifically toxic pesticides, like these tablets. Swallow a carbon tablet, you die. End of story. The entire reason life on this planet exists is because oil and water don’t mix. Seriously. That’s it. If you can really, truly understand this concept – and if you’ve ever made salad dressing, you really truly understand this concept, I promise – you can understand basically all of medicine if you want to read enough textbook chapters. Oil and water repel each other, plus or minus your god of choice, depending on your religious beliefs. Then life happens. This concept will underlie every toxicologic explanation I attempt here. Every cell in your body is essentially a small globe of oil, with Important Water And Things inside the sphere and Less Important Water and Things outside the sphere. That’s it. Without the oil-water thing, everyone would just be vaguely metallic-flavored blobs of goo. Okay back to carbon tablet. When the tablet comes in contact with moisture – even just the humidity in the air, hence how it fumigates an entire grain silo – it releases phosphine gas. If you eat it, which is how people kill themselves, the tab dissolves quickly in the stomach and gut (since, you know, you’re made of moisture). It’s not really a “gas” in the sense that you don’t inflate like a helium balloon and dramatically explode, although that would be awesome; it’s a gas in the same way that oxygen in your blood is a gas, dissolved in liquid form. The actual molecule of phosphine is very small and – remember our first principle! – will cross any boundary between oil and water. The uselessly medical name for this is “amphiphilic,” which basically translates to “loves both things.” Medicine is complicated for no reason sometimes. Okay so the gas crosses over into everything, and then what? Well, the short answer is “everything.” For lack of a better term, you are effed. Phosphine has some negative energy (quite literally, in the form of electrons) that it gives up easily to other compounds, and the presence of these extra electrons messes up all the little chemical reactions that make your body go. The simplest explanation for “collapse” is that your body stops being able to use oxygen all of a sudden and switches over to “anaerobic metabolism,” which is what happens when you exercise and your muscles start to burn. Imagine that burning, but all over your body times ten. The acid that’s produced causes dilation of all your blood vessels simultaneously, which causes extremely low blood pressure – so low your heart can’t pump blood around effectively, and your brain starves. 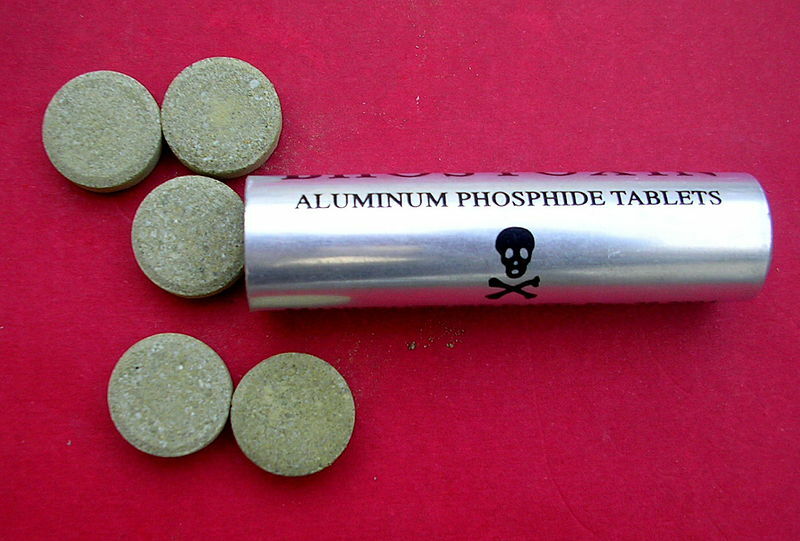 Unfortunately, the lethal dose of aluminum phosphide (carbon tablet’s chemical name) is less than what’s contained in a single tab. It’s what’s known in the profession as a one-pill kill. Will it kill the White Walkers? As a ham sandwich, I am ever so grateful to finally understand the very complex process of Water and Things.